6 Signs You Have Mold Illness and May Not Even Know It. 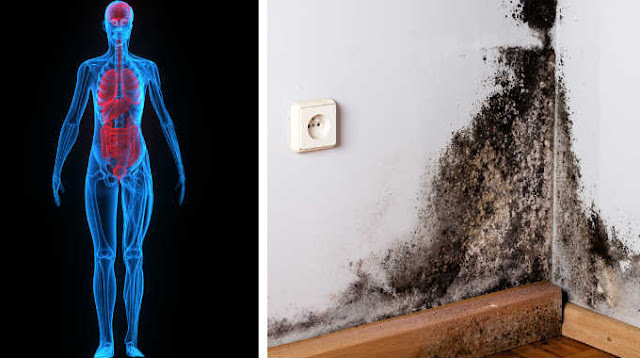 Home » Tips » 6 Signs You Have Mold Illness and May Not Even Know It. There are all sorts of gross things that no one ever wants to find inside their house and mold comes in at the very top of the list. The nasty, unsightly fungi can be found practically anywhere on Earth and is virtually impossible to avoid. It favors warm, damp, shady places like bathrooms and basements, which are the spots where it’s most likely to be found indoors. Even if you can’t see any visible mold, there’s probably some growing wherever there are tiny cracks and crevices around your home. Other than leading to potentially extensive structural damage, many types of mold are also highly toxic and can be extremely harmful to human health. That’s why it’s crucial to keep your home as mold-free as possible and if you ever notice any sign of it growing, deal with it immediately to prevent it from spreading any further. There are countless species of mold fungi that exist and according to the CDC’s mold fact page, it’s estimated that there are anywhere between 10-300 thousand different types. The most common variants found indoors include the dreaded Stachybotrys Chartarum, aka toxic black mold, which produce mycotoxins that are capable of causing multiple health issues. In addition to mycotoxins, mold spores also get released as mold grows and we end up ingesting and breathing both of these toxins directly into our bodies. 01. Headaches- If you suffer from frequent headaches and migraine pain it may be a symptom of mold exposure. Oftentimes sinuses become inflamed or infected due to allergies to mold particles in the air. The accompanying pressure causes many people to experience headaches and migraines. 02. Changes in Eye Health- Red, itchy, watery eyes are a common sign of mold exposure. Changes in eye sensitivity should be taken seriously and never be ignored. Mold triggers an allergic response in our bodies and may cause mild to intense itching, redness, blurry vision, and watery eyes. 03. Dry Skin and Rashes- A lesser known side effect of mold exposure is itchy, flaky, dry skin. Sometimes people develop rashes or hives and the inflamed areas may be patchy in appearance and extremely uncomfortable. Always do your best to avoid scratching and breaking the skin, which opens you up to a high risk of infection, and seek treatment if a rash is accompanied by intense pain, swelling, or discharge. Those may be signs that you’re having a severe allergic reaction and your body can’t handle it. 04. Breathing Difficulty- Perhaps the most common symptoms of mold illness are respiratory-related issues. Coughing, wheezing, not being able to breathe deeply or catch your breath are all red flags that point to mold allergies and exposure. Symptoms are often worse in people with asthma as the tiny mold spores and mycotoxins in the air can easily trigger an asthma attack. 05. Aches and Pains- Muscle pain that is unexplained and has no clear cause may be a symptom of mold illness. Some people experience mild achiness, but others describe intense, sharp, and even shooting types of pain. 06. Depression- Feeling down in the dumps and depressed has been linked to mold illness. Studies and science have found that damp, dark living spaces are ideal for both mold growth and negative effects on our mental health. On top of that, the multitude of other health issues that mold exposure triggers don’t help at all and only make depression worse. To improve indoor air quality try opening the windows and air out your home. Keeping a fan on to move air around and placing plants throughout your home will also help. Additional signs of mold illness include a runny nose, postnasal drip, sneezing, chest tightness, weight gain, fatigue, numbness, shaking, stomach pain, nausea, diarrhea, and twitching. While many of these symptoms are commonly attributed to a number of other health issues and allergies, if you think you may have been exposed to mold and they persist, you should definitely seek treatment. Your doctor can help you, but more importantly you can help yourself by keeping your house dry, clean, and as mold free as possible. This post was republished from sun-gazing.com. You can find the original post here.